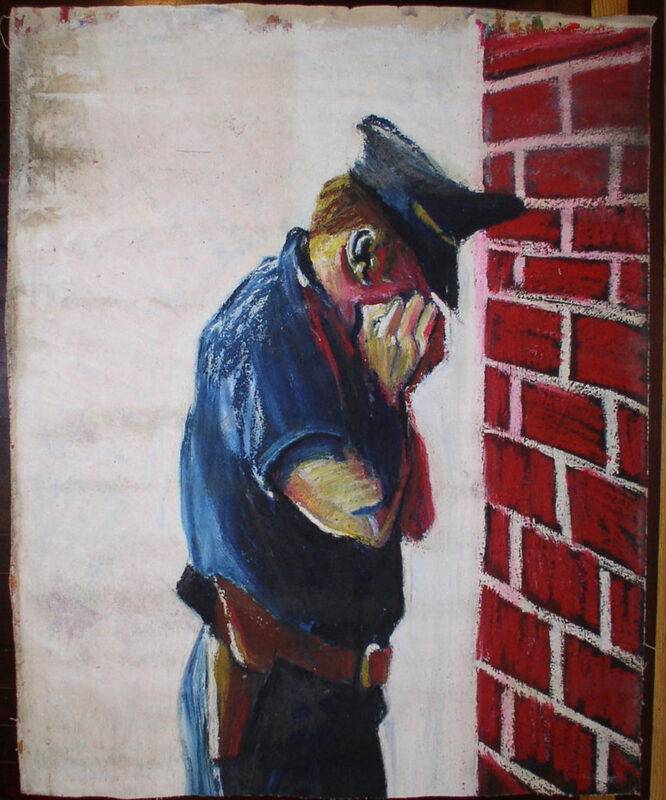 Mike Glier, “Crying Policeman,” oilstick on canvas, 1980. 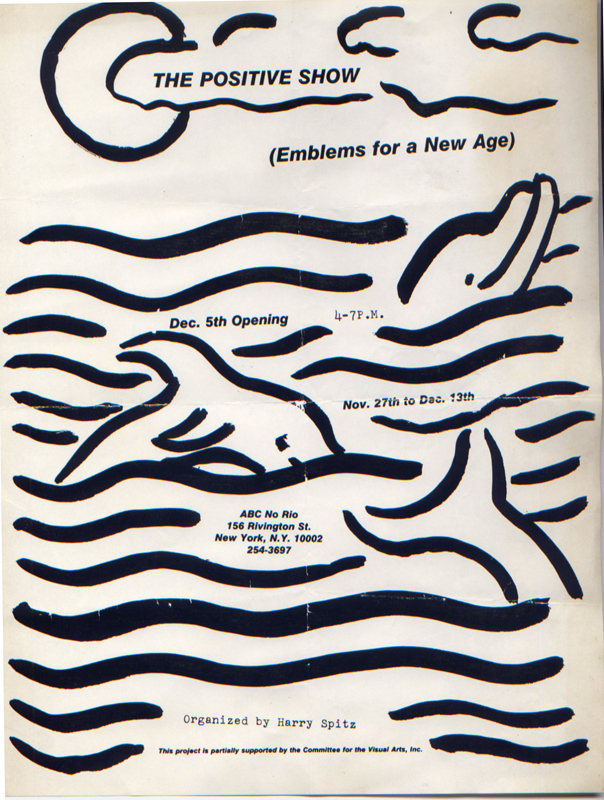 Much of the art featured on Gallery 98 is connected with Collaborative Projects Inc.(COLAB), a loosely organized artists’ group that helped lead the shift towards more socially engaged art in the 1980s. One of COLAB’s most notorious actions was The Real Estate Show, a theme exhibition about real estate that took place in an illegally squatted building. The unexpected outcome of the show was the art space ABC No Rio Dinero, sited in a dilapidated building at 156 Rivington Street, which the city offered the artists as an inducement to end the tumult caused by the Real Estate Show. Still active today, ABC No Rio in its early years featured mostly theme exhibitions exploring social issues. The origin of No Rio and its early exhibitions are chronicled in the book ABC No Rio Dinero: the Story of a Lower East Side Art Gallery. COLAB member Mike Glier participated in the Real Estate Show and in some of the early shows at ABC No Rio. His painting of a crying policeman was a standout in the Positive Show of December 1981. Glier’s knack for socially evocative imagery earned him a central place in the wave of new expressionist paintings popular in the art galleries of 1980s Soho. The frequent visitors who come to Gallery 98 after Googling “crying policeman” attest to the image’s continued relevance. 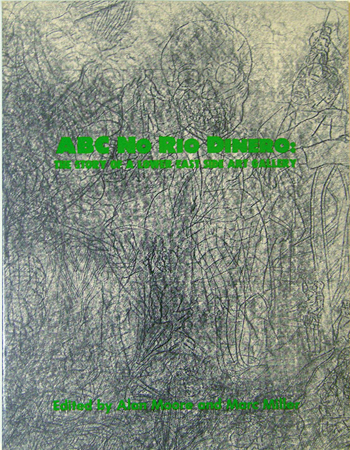 Alan Moore and Marc H. Miller, eds., ABC No Rio Dinero: The Story of a Lower East Side Art Gallery, 1985. Harry Spitz, poster for “The Positive Show, “ 1981.